Nothing gets my Facebook page roiling these days like stating the simple fact that cannabidiol is a Schedule I controlled substance under federal law and illegal under most state laws. If It’s Legal, Why Did We Pass Those CBD Oil Laws? “But our CBD oil is produced from hemp, so it is legal in all 50 states!” comes the inevitable reply, sometimes with colorful language expressing the commenter’s opinion of my intellect. I’ve run down the legalese before. I’ve shown readers in plain language how cannabidiol and all cannabinoids derived from the resins of cannabis plants are quite clearly considered illegal drugs by the DEA. I’ve run down the botany before. I’ve shown readers the scientific studies declaring that nothing but trace amounts of cannabinoids are found in the stalk, and most of that is found in resin sticking to the stalk, and anything that comes from resin is illegal. Maybe all the legal and scientific jargon are too much to wade through. If so, then just apply some common sense. If CBD from hemp was already legal in all 50 states, why did 16 states go through the trouble of passing CBD oil laws for epileptic kids? If CBD from hemp was already legal federally, why are there three bills proposed in the federal congress to remove CBD from the Controlled Substances Act? I don’t care if you want to buy some CBD oil on the internet from somebody who’s charging you an arm and a leg for it. I don’t care if companies want to sell you that CBD oil in defiance of prohibition. I do care, though, when for-profit companies falsely entice their customers into breaking laws without their informed consent. If It’s Legal, Then Why Are These People Busted? Real people are being busted for this allegedly “legal-in-all-50-states” cannabidiol oil, facing real consequences they and their families were unaware of, thanks to this non-stop proselytizing-for-profit of the false gospel of legal hemp CBD. It’s hard to blame the guy. Nobody has been charged yet, but “police found 63 containers of products, such as Relax CBD Syrup,” which suggests they could be facing a three-year mandatory minimum sentence in state prison. Even in states where the cultivation and use of marijuana, chock full of CBD and THC, is legal for adults, you can get busted over CBD oil if you cross state borders with it or fail to adhere to state regulations on it. Where I’m writing this in Alaska, “enforcement officers seized items from several stores in the state that contained cannabidiol oil” in Wasila back in February. Maybe the companies and associations shilling for the legal hemp oil fantasy will devote serious money and legal resources to defend all these families who believed their mistaken legal interpretation. It would be great if they won, but they won’t, because the law is clear. 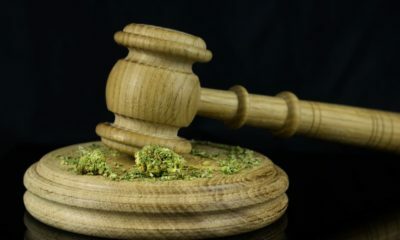 Will they really want to spend the money to go up against the prosecutors’ enormous resources and risk a decision affirming CBD’s illegality that would be terrible for sales? I think prohibition of cannabis in all forms is unconstitutional under the 9th Amendment. But I’m not going to sell you some marijuana products in Idaho at highly-inflated prices and tell you it’s legal in all 50 states because I have a novel legal theory. As it stands today, cannabidiol is illegal federally and in most states. Even in states with medical and CBD laws, cannabidiol possession is strictly regulated and usually not for sale or manufacture. Break those laws if you wish, but don’t fool yourself into believing your CBD dealer’s promise that it’s all legal.